Mahmut Arslan Anadolu High School is a public school founded in 2009. It is situated in Mersin. Mersin is located on the eastern Mediterranean and on the south of Anatolia peninsula .It has over 1000000 population. It is a city that allows immigrants that is especially from the underdeveloped regions of Turkey.It is a city that hosts a lot of anciant civilizations . We have 14-19 aged students . We start the lessons at 8:00 a.m and finish at 15:00 p.m .the students who are eager to attend to some activities come to school at the weekends. We have a large and modern sports hall and a computer lab, a physics , biology and chemistry labs. We have approximately 1100 students in 2016-2017 academic education year. Tömük Anatolian High School is located on the Mediterranean coast of Turkey7. 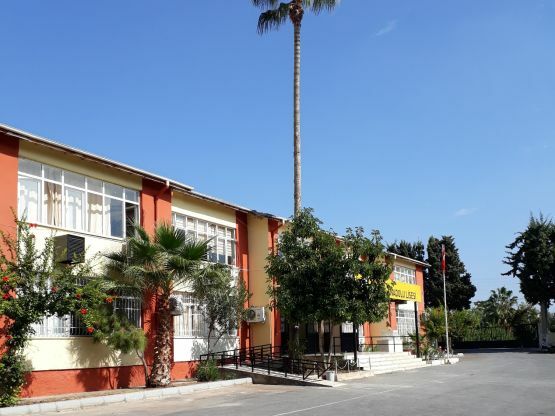 In the 1980-1981 school year, the high school class was opened and the name of the school was changed as Elvanlı High School and in 1984-1985 academic year it was changed into Tömük High School. In 2013-2014 academic year, the name of the school was changed for the last time as Tömük Anatolian High School. Our school has 12 classrooms, 23 teachers, 1 servant and 284 students. Interactive boards are available in our classes. Our students are between the ages of 15-18. We know students well because of the small number of students. The school is quiet away from the noise. We have a stress-free working environment because we are surrounded by nature.